Four wheel drive systems have become increasing complex. There are part time, full time, auto 4x4, select trac, auto trac, 4motion just to name a few styles. 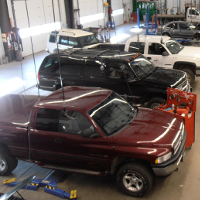 A-1 Automotive & Transmission Service offers full diagnostic services for these systems. We can repair or rebuild these 4 wheel drive system components that are necessary to get you four wheel drive system functional again. We can also take care of you Service 4 Wheel drive warning lights and take care of any general 4 wheel drive service questions you may have.